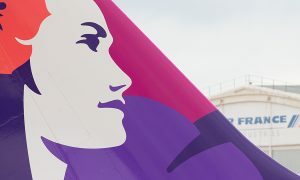 Hawaiian Airlines will launch daily non-stop service between San Diego International Airport (SAN) and Maui’s Kahului Airport (OGG) on May 1 with new Airbus A321neo aircraft. 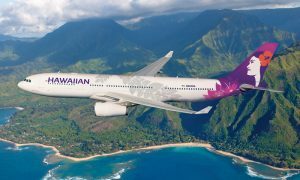 Hawai‘i’s flagship carrier today also announced the addition of four daily summer flights in 2018, including its first international seasonal service, between Narita (NRT) and Honolulu (HNL). 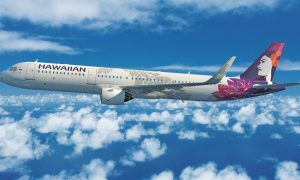 Hawaiian will deploy its new narrow-body aircraft on non-stop summer flights between San Francisco (SFO) and Honolulu (HNL), and Oakland (OAK) and Kona (KOA) on the Island of Hawai‘i. The airline will also add summer flights between Los Angeles (LAX)-OGG and NRT-HNL, supplementing existing daily service on each route with A330 wide-body aircraft featuring Premium Cabin lie-flat seating and more Extra Comfort seats. “We are delighted to offer travelers more options to visit our islands next summer,” said Peter Ingram, Hawaiian’s executive vice president and chief commercial officer.